John Mock and Kimberley O'Neil have been trekking in the Karakoram, Hindukush, Pamir and Himalaya for more than forty years and are the recipients of two GORE-TEX Brand ® Shipton-Tilman Grants. 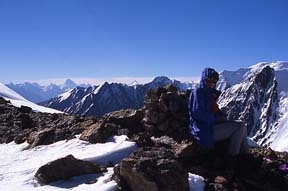 John Mock and Kimberley O'Neil twice succeeded in legally crossing passes (Dilisang Pass and Irshad Uween) on the Afghanistan-Pakistan border. In 2005 John Mock and Kimberley O'Neil returned to Wakhan for the second consecutive summer. They worked as consultants for the Deutsche Gesellschaft für Technische Zusammenarbeit (GTZ) and Aga Khan Foundation-Afghanistan producing a report, Tourism Promotion in Wakhan District, Badakhshan, Afghanistan (Kabul, Afghanistan, November 2005) that was used to open Wakhan and the Afghan Pamir to worldwide tourism. At the end of their fieldwork, they trekked across the Irshad Uween, a pass from Wakhan's Bai Qara Valley in the Little Pamir to the Chapursan Valley in Pakistan's Northern Areas (now Gilgit-Baltistan), their second consecutive legal international border crossing between Afghanistan and Pakistan made with the full permission of both governments. John Mock and Kimberley O'Neil traveled to Afghanistan's Wakhan Corridor. Their successful expedition to the source of the Oxus River in the Wakhjir Valley and across the Dilisang Pass to Misgar in Pakistan's Northern Areas was supported by the 2004 GORE-TEX Brand ® Shipton/Tilman Grant awarded by W.L. Gore & Associates, Inc. Read the expedition report, or read it on W.L. Gore's / WINDSTOPPER ® Adventure Diaries. Play the expedition slide show. Legally crossing Irshad Uween has been replicated twice by friends and colleagues French Photographer Matthieu Paley and his wife Mareile (2005) and by Matthieu Paley guiding Paul Salopek, a journalist walking 21,000 miles around the globe on National Geographic's Out of Eden Walk (2017). The Dilisang Pass crossing has not been replicated to our knowledge. A passion has been rediscovering old routes, reconnoitering new routes, and writing about these routes to promote tourism in remote mountain areas. Here's a recap of several 5000m-pass crossings. Werthum Pass lies in the Batura Muztagh of the Central Karakoram Range in the Gojal region of Pakistan's Northern Areas (now Gilgit-Baltistan). 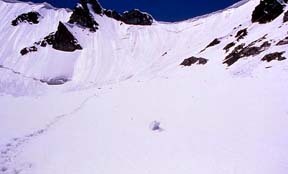 John Mock and Kimberley O'Neil established a route between the Batura Glacier and Chapursan's Lupgar Valley crossing Werthum Pass on July 17, 2000. Their route description was published in the 2nd edition of Trekking in the Karakoram & Hindukush and has since become a popular trekking route. John Mock and Kimberley O'Neil trekked more than 250 kilometers, crossed five different 5,000-meter passes, and traversed six different glaciers in Shimshal territory of Pakistan's Northern Areas to meet their expedition's three objectives. On June 19, 2000, they crossed Mai Dur Pass in the Southern Ghuzherav Moutanins linking Qachqar-e-dur and Ghuzherav Mai Dur, a pass last crossed by the 1925 Visser-Hooft expedition searching for the source of the Hunza River. They crossed two previously unknown passes, Ghidims Pass South on June 26 and Ghidims Pass North on July 2 in the North Ghuzherav Mountains, over the watershed between South Asia and Central Asia linking the Ghidims Valley, a tributary of the Ghuzherav Valley with the Sher Ilaq Valley, a tributary of the Oprang Valley that had never been visited by any westerner nor any woman. They reached the Oprang Valley, which had previously been visited only once by a westerner in 1934. The expedition was supported by the 2000 GORE-TEX Brand ® Shipton/Tilman Grant awarded by W.L. 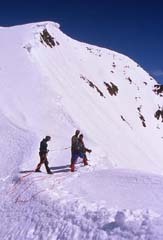 Gore & Associates, Inc. Read the expedition report or read an expedition summary in The American Alpine Journal (2001). Lupgar Pir Pass lies in the Lupgar Mountains of the Central Karakoram in the Gojal region of Pakistan's Northern Areas (now Gilgit-Baltistan) and links the Chapursan and Lupgar Valleys. John Mock and Kimberley O'Neil crossed the Lupgar Pir Pass on August 28, 1994, making the first crossing in 60 years since the first crossing by Col. Reginald RCF Schomberg in 1934. The renowned Pakistani mountaineer Nazir Sabir acknowledged that they were the first people in sixty years to cross the pass thereby opening a new trekking route whose route description was published in the 2nd edition of Trekking in the Karakoram & Hindukush . It has since become a popular trekking route. John Mock and Kimberley O'Neil made the initial reconnaissance and crossing of the trans-Himalayan Pin Parvati Pass (also called Pin Parbati Pass) between the Parvati Valley in Kulu and the Pin Valley Spiti in Himachal Pradesh, India on August 10, 1992. The late Colonel Jimmy Roberts who failed to find the pass on his 1939 expedition had sent us his notes and a map locating the pass, which we used to make our crossing. Once a frequently used trade route, the pass was neglected for decades. 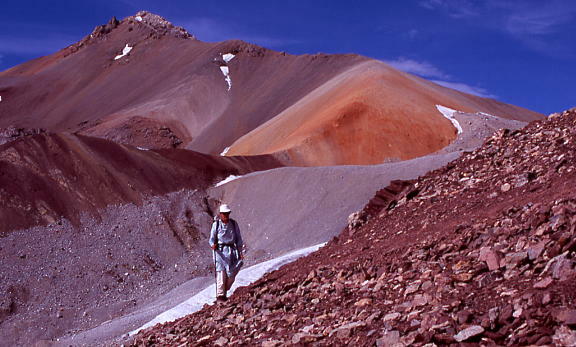 Unknown in 1992, it has since become a popular trekking route. On their second trip to the Saltoro Mountains, John Mock and the late Hugh Swift trekked from the easternmost village in Baltistan's Saltoro Valley in the Saltoro Mountains to Shagiri in the Rupal Valley, beneath Nanga Parbat's southern face, at the western end of the Great Himalayan Range in Pakistan's Northern Areas. This trek completed Swift's Great Himalayan Traverse, an east-west foot journey that began the previous year in Bhutan with Arlene Blum. 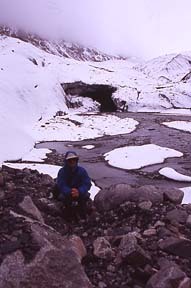 John Mock and the late Hugh Swift visited the Hushe and Kondus Valleys in Baltistan's Saltoro Mountains, and trekked up the Kondus Glacier to the Sia La. The Kondus and Saltoro Valleys, "Forbidden Valleys", closed to foreigners by the Pakistan government since 1984, have some of the finest clean granite towers in Pakistan. 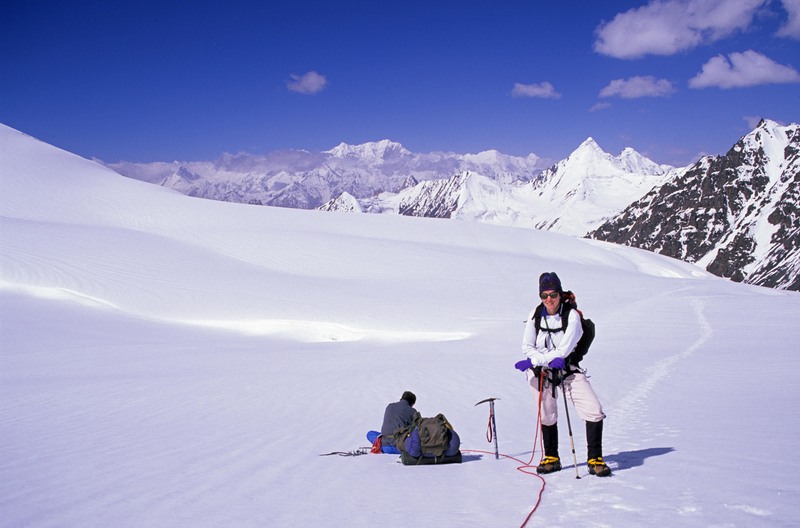 The Pakistan government, however, has allowed a few climbing expeditions since 2000; read the story of one expedition's successful first ascent.